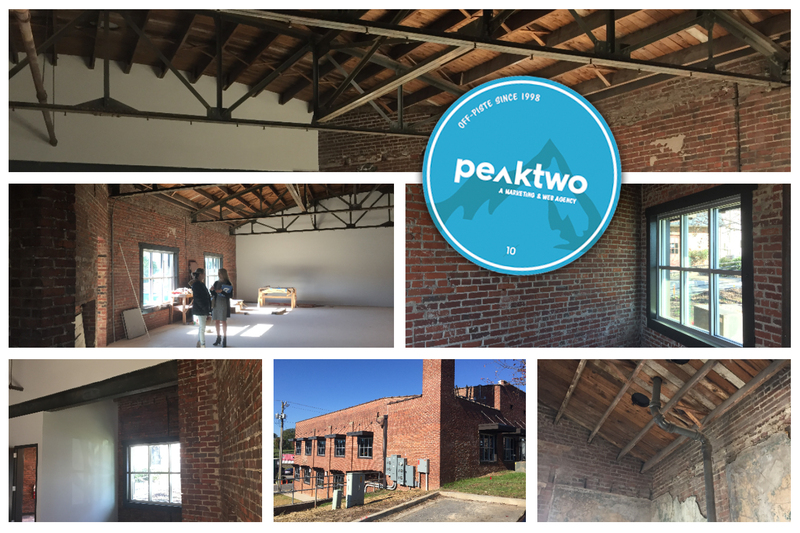 Peaktwo is a marketing & web solutions agency in Charlotte, NC. For over 10 years we have been designing and building custom websites for clients across myriad industries. 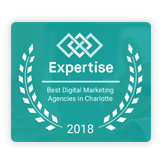 In the Charlotte region we work with technology, manufacturing, financial, real estate, and consumer clients – providing strategy, brand, marketing, and web services. Our customers include large corporations, small businesses, and growing start-ups. See our recently launched projects. Come in the front door and learn what we are all about. You’ll notice the difference from the first conversation. We place an equal amount of important on understanding your business, competitors, and online sales strategy and as we do the website design and development. Any agency can build you a pretty-looking website, we do a lot more than that, and the results show it. Over the years we’ve won several local awards including “Top Web Designers in Charlotte”, “Top Marketing Consultants in Charlotte”, and “Top Digital Marketing Agencies in Charlotte”. We’ve been in business over 10 years. The company was launched in the Northern Virginia tech corridor just outside of Washington, DC. We relocated to Charlotte in 2010. Our first offices were in southwest Charlotte, near Carowinds and Route 160 (10935 Winds Crossing Dr, Suite 700, Charlotte, NC 28273). As we grew locally, so did our need for people – and a new creative space. This led us to our current offices on Main St. in Fort Mill, SC, just a stones throw over the NC border (just 15 miles from downtown Charlotte). 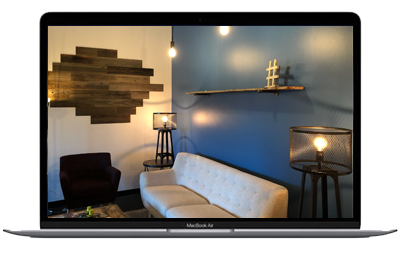 If you’d like to learn more about our services, please visit our website design solutions page or complete this short form and we’ll reach right out to you! Here’s an “under construction” view of our offices from February 2018. This is a page written expressly for search engine optimization (SEO) – meaning a page for the search robots to find when someone searches “website design Charlotte”. It’s a trendy SEO strategy and when done correctly, it can be an extremely effective strategy for both your organic search traffic and your site visitors. Now that doesn’t mean there isn’t some good information here, but if you really want to see what a Charlotte Website Design Agency can do for you (see, we did it again – using “Charlotte” when we say “Web Design Agency” – search engines like that), please check out some of our recent projects or click here to learn more about our Charlotte team. 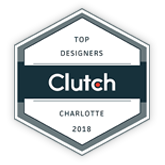 If you do want to learn about choosing a web design agency in Charlotte or the surrounding areas, keep reading – or visit our website design solutions page, or reach out to us. Your website is the hub of your marketing universe. It’s not a flat online brochure, it’s a magnetic, energetic two-way engagement tool (phew). Every single one of your marketing activities drives visitors back to your site. It’s where new leads begin a brand journey, and prospects continue their education. Customers purchase products. Talent looks for jobs. Media gathers insights to cite. It informs. It builds brand trust and loyalty. It sells. Its design and content constellation easily connects the “who you are, what you do, and how you do it” dots in a way that works to make you shine brighter than your competition — and above all, it elicits audience action. So how do you choose the right web design agency in Charlotte (or anywhere)? Designing a website that shines brightest in the increasingly populated online galaxy takes more than just great design and content. Plenty of agencies that can toss up a pretty or flashy website, but few have the kind of experience and expertise to deliver the level of usability and functionality critical to gaining the attention of today’s online audience. Many of our potential clients come to us concerned about increasing their web presence. While many of these prospects come from different arenas and are looking to attract different audiences, our core recommendation rarely changes: To increase online impact businesses need to rethink the purpose of their website, and then strategically refine the messages, look & feel, and functionality based on this objective. Will the website ultimately look different when we’re done? Yes. But rethinking goes deeper than re-skinning a website’s look. Design, while critical, is just one component of full-spectrum website visibility strategy. The design itself, the pretty colors, images, animations and effects are critical for drawing your audiences in. But their overall experience on your site–the usability and functionality, is what engages them. This requires knowing your visitors – who is coming, what do they want, and how do they buy. You must be planning for their arrival with an intelligent user interface accounting for where everything — graphics, blog posts, sharing buttons, copy — is positioned on the page. This attention to positioning is designed to “activate” the visitor. It engages their eyes, mouse, and brain to create a more immersive, and thus memorable, experience. It’s the kind of engagement that gets people to come back (or even better, convert!) because your brand gets burned into their mind. If your website doesn’t perform on smartphones and tablets, you risk losing customers and negatively impacting your search engine rankings. Want to handle your own website changes? It’s not a problem when your site is built on a popular content management system such as WordPress, Craft, or Drupal. Think through your SEO strategy before you start architecting your website. 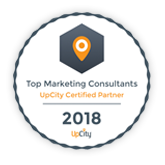 Do you use Hubspot, Marketo, Acton, MailChimp? These systems can all seamlessly integrate into your website or CMS. Great design is transforming. We blend amazing designs with a clean user experience to engage visitors and encourage action. Safe, secure, affordable hosting with 24/7 response and daily backups. Don’t get caught with a slow-loading website! Drop us a note, we’d love to listen to you.